Despite being knee-deep in all things 6th grade, Jack and I discovered a most excellent group of novels with an absolutely unputdownable quality: Robert Muchamore’s CHERUB series. Muchamore’s books hit on the trifecta of tween interests: spies, international mystery, and, um, adolescent drama. Think of it as James Bond without all the double entendres. The British Security Service maintains a special branch, known as CHERUB, which only employs highly intelligent youth (who also happen to be orphans)–all of whom must first, of course, undergo some unbelievably creative training before being sent out on intense, could-be-plucked-from-real-life cases (think gang warfare, arms races, and drug trafficking). The CHERUB books bump up against some gritty situations, but, to be honest, the subject matter is no worse than the evening news; however, Muchamore himself notes that more explicit plotlines begin showing up in book 8 (Mad Dogs) and thereafter. Muchamore is a prolific writer; the original series contains 17 books (!! ), with the final book due to be released in June, 2016. He has also written a prequel, the Henderson’s Boys series, which backtracks to CHERUB’s beginnings in WWII and contains 7 more incredible books. Lastly, the Aramov series follows the trials of a different set of characters within the CHERUB organization. We can’t get enough of these stories! By deftly weaving historical fiction with plots containing contemporary issues, the CHERUB series is a slam dunk! We highly recommend Muchamore’s work to anyone with an interest in suspense, global awareness, the power and capability of young people, and–of course–sneaky spying! First published in 2004, some installments in the series are more difficult to track down than others. It’s hard to beat the rush of reading a book that you don’t want to end…especially when that book is part of a series. You know there’s more goodness right around the corner just waiting for you. Once we discover an author he likes, Jack is a very loyal reader. Case in point? He plowed through a large portion of the Gordon Korman ouevre in one summer. With over 85 books under his belt, Mr. Korman is certainly one of the most prolific writers out there for young adults, and he knows a good thing (or character) when he sees it. Jack’s discovery of the Swindle series was his inaugural dip into the world of multi-book character and plot development, and he fell hook, line, and sinker. Since the Summer of Swindle, we’ve found several other series we are excited to share with you. Dystopian societies. Ah, they are all the rage these days. Perhaps the most perfect way to introduce this genre is through Ray Bradbury’s spectacular short story, “All Summer in a Day.” I remember this one knocking my socks off when I was in fifth grade, and I promise you, it’s still just as bone-chilling to me today. Find it. [Re-]Read it. Trust me. The Ender Quartet, Orson Scott Card. Mean big brothers, an Earth under attack, an orbiting Battle School, and the discovery of multiple sentient species on another planet? If your child is even slightly interested in science fiction, be prepared to lose him for a few weeks as he plows through Card’s fantastic books. Books include (1) Ender’s Game, (2) Speaker for the Dead, (3) Xenocide, and (4) Children of the Mind. Follow up the series with a family viewing of the film, starring Harrison Ford. Ender’s Game was originally published in January, 1985 so the series also doubles as a way to prove that good stories hail even from the dark ages. The Maze Runner, James Dashner. A multi-leveled labyrinth of a world, 60 boys all with amnesia, and a prequel shedding light on how the end began. Jack also loved the first movie and is anxiously awaiting the release of the film version of The Scorch Trials. (1) The Maze Runner, (2) The Scorch Trials, (3) The Death Cure, (4) The Kill Order. Book 5, The Fever Code, is set to publish in 2016. The Divergent Series, Veronica Roth. Unless you’ve been living under a rock, you’ve heard of this series about a civilization sharply divided into five factions and all of the turmoil this brings. It’s all very Brave New World-ish–more dystopian society, more teen angst, more choices, and more reading from your tween, who won’t be able to put these books down. (1) Divergent, (2) Insurgent, (3) Allegiant, and (4) Four. Matched, Ally Condie. Female protagonist. Creepy Big Brother-esque society. Questions of heart, strength, and trust, coupled with a government-generated plague-like epidemic. And did we mention the one heck of a strong lead female? (1) Matched, (2) Crossed, (3) Reached. The Testing Trilogy, Joelle Charbonneau. In order to escape small town life in the Five Lakes Colony, Cia not only has to be chosen but also has to pass the horrendously rigorous testing doled out by the United Commonwealth, which, of course, is chock full of nightmarish situations. Passing the test is just the first of Cia’s problems. Three long car rides were all it took for Jack to plow through this entire series. (1) The Testing, (2) Independent Study, (3) Graduation Day. And finally, if you’ve had enough doom-and-gloom of the post-Apocalyptic crush, there’s the delightful–yet complicated–world of Winston Breen. The Puzzling World of Winston Breen, Eric Berlin. Winston has a true gift for solving puzzles–riddles, optical illusions, anagrams, logic questions–you name it; Winston can solve it. Various contests and mysteries send Winston and his pals on a scavenger hunt through their school, through their town, and even through a creepy mansion. Readers have to solve the puzzles right along with Winston. Perfect for fans of The Westing Game (and let’s face it: who isn’t a fan of The Westing Game?). (1) The Puzzling World of Winston Breen, (2) The Potato Chip Puzzles, (3) The Puzzler’s Mansion. Following the growth of a character through several novels is a rewarding process though it does take patience. With these six different series, however, it’s an absolute joy to ride along with the protagonists through multiple books. Jack gives all 21 of these books two-thumbs up! Quiet Down There just received an incredible shout-out by the incredible literary blog, Musing, run by the incredible folks at Parnassus Books in Nashville! Jack and I are absolutely ecstatic! You may have noticed that we always provide a link for every book we mention; you may also have noticed that these links take you a little off the beaten path to Parnassus, a mighty fine independent bookstore in one of the coolest towns in the good ‘ole U.S. of A. Because we are all about the little guy. We are all about keeping it local. And we adore indie bookshops. If I had a dollar for every hour I’ve spent in Jackson Street Books in Athens, Georgia, I might be able to put my own kids through college. I’d wander from the English department across North Campus, under the Arch, and up the hill to Jackson Street where I’d spend time between classes, typically curled up in one of their well-loved leather chairs, hidden in the stacks and reading for class. I was thrilled to learn that since I left Athens, she’s gained a new indie store, Avid Bookshop. Now how ’bout them Dawgs? A trip to Amelia Island is never complete without a visit to The Book Loft. Dan the Bookseller has never steered me wrong. He can see Jack and me coming a mile away, and he remembers us even though we only see him a few times a year. No big box book store can do that. Parnassus gets it. Mary Laura Philpott, the brilliant and hilarious editor of Musing, gets it, too; Musing‘s latest article tosses a meaty bone to the myriad book bloggers out there who also feel the love for the indies. If you’re looking for awesome book suggestions, this article will give you the down-and-dirty by the best literary bloggers who are dishing up the scoop. Quiet Down There was one of the lucky ones to get a mention. We’re floating on Cloud 9 tonight. Thanks, Parnassus! And thank you to all the independent bookstores out there; we bibliophiles are behind you 110%! It’s summertime, y’all. Time to let loose and be carefree, right? After all, Liesel, the main character, is only 9 years old. Before I was able to reassess the situation, Jack had torn through 75 pages, and a mama never takes a book away from her boy. We buckled in for what I feared would be a wild ride. Jack eats up historical fiction. Both of his great-grandfathers fought in World War II, and thankfully I had the common sense to ask them about their service while they were still alive. Those guys weren’t part of The Greatest Generation for nothing. 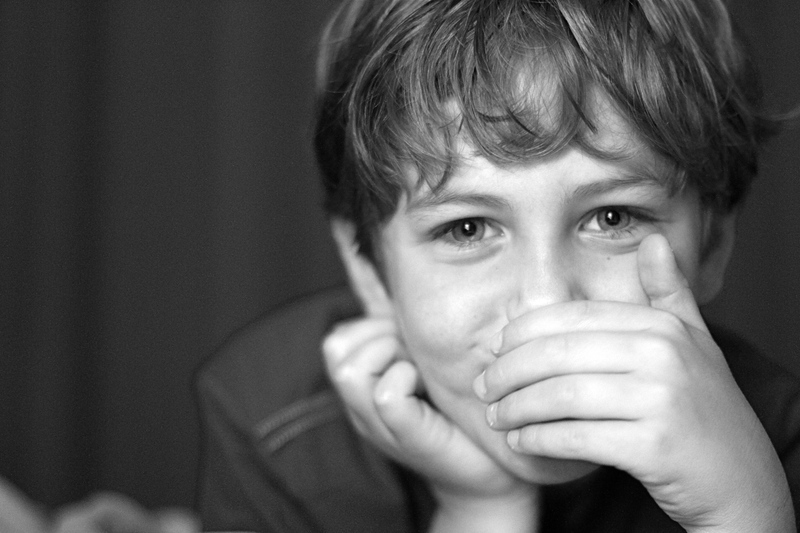 My son sat dumbfounded, listening to the breathtakingly scary stories of the actual things his own ancestors endured. To say it was hard for him to believe is an understatement. Thank goodness we’ve never fought a battle like that on our home soil. Similarly, Jack had heard of Anne Frank–perhaps the most recognized child of the era–and while he acknowledged her plight was absolutely horrific, he’d never read her diary or been presented with more information than the skeletal facts of her life-or-death game of hide-and-seek in Amsterdam. To him, Anne Frank was an adventurer of the highest degree, someone who evaded a bad situation by being clever and sneaky and quiet. The Book Thief yanked him up by the bootstraps, to say the least. Out of the gate, we tackled the devices of personification and omniscient voice. To give Death a name, a personality, a concrete place in a novel was an entirely new concept to a 5th grader. The shock value of a narrator as macabre as Death startles grown-up readers, yet somehow the concept didn’t spook my 11-year old. Jack said Death was a reliable narrator who gave insight to a multitude of characters and explained how folks actually perceived him (it? It?). Perhaps Jack’s emotional immaturity played a role here; the older we get, the closer we come to an actual visit from this grim narrator ourselves, and as such, we tend to take less risks. Stealing books or harboring a refugee becomes a much more critical act of rebellion, and the subsequent punishments are much more dire. For an 11-year old, however, these acts are not outlandish. My big-hearted, truth-loving son did not really quibble with the notion of taking another’s unwanted property for the sake of gaining knowledge or for hiding a fugitive who was being wrongly hunted. It became clear that this was a book one sees differently when one reads it with older (more jaded?) eyes. 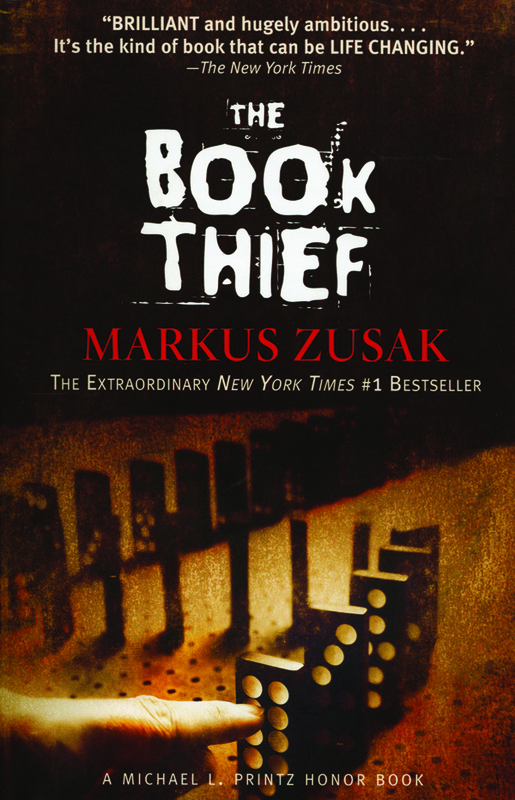 It would be easy to think The Book Thief might have been a bit lofty for us to have tackled so soon. The multilayered symbolism of bread, family, faith, evil, and the strength of words were topics Jack and I talked about, but–to be honest–sailed right over his head. Trotting out one of John Donne’s Holy Sonnets certainly didn’t help the situation. I shifted into total English teacher/nerd-mode, excitedly rambling on about Death not being proud, and Jack’s eyes glazed over. Instead, he preferred to focus on the intensely riveting plot, which is probably best for his first taste of this novel. When he revisits it after he has a few more years under his belt, he’ll start to grasp the importance of “The Word Shaker” and the power, good or bad, of hiding things–be it a book, another being, or a belief. Best of all, the fact that he will eagerly come back to the words of Zusak’s novel reiterates the whole point of this beautiful, painful, necessary book: words matter. Always. We just wound up the best summer we’ve ever had. In addition to all the swimming, biking, playing, and laughing we could handle, we also were absolute reading fanatics. Jack plowed through over 20 books in just 10 weeks. Before we get to our run-down, we must give a huge shout out to Rob Buyea’s Because of Mr. Terupt. Good gracious, this is a beautiful book. Both Jack and Tucker read it, and both absolutely adored it. If you’ve not read this gem yet, run–don’t walk–and get yourself a copy. Point of view switches among 7 students in Mr. Terupt’s 5th grade class. Buyea deftly presents classic pre-teen archetypes and their struggles, but these students’ mutual admiration for their amazing teacher is what steals the show. Because of Mr. Terupt was our favorite book this summer, but the rest of our book pile didn’t disappoint either. The list is below. Longleaf–Roger Reid. The author spoke to the entire 4th grade at Jack’s school and graciously gave them each a copy of his book. The young protagonists find themselves lost in a longleaf pine forest, on the run from a group of criminals. The 7th Level–Jody Feldman. Feldman is the author of Jack’s favorite book, The Gollywhopper Games, so this novel was a hit right out of the gate. The 7th Level is about a middle school secret society; Travis is invited to join (or is he? ), but first he must follow the clues and solve the puzzles. Capture the Flag–Kate Messner. A puzzle mystery set in Washington, D.C.; involves another secret society (what story set in D.C. doesn’t?) and the Star Spangled Banner. The Fast and the Furriest–Andy Behrens. Kevin and Cromwell, boy and dog, take on an overzealous dad and canine agility contests. The Candy Shop War–Brandon Mull. Four friends try to uncover the secrets behind a candy shop whose candy provides magical powers once eaten. Elvis and the Underdogs–Jenny Lee. A talking dog? A book by a writer on the tv show “Shake It Up”? Sign us up. Field of Wacky Inventions–Patrick Carman. This is the 3rd book of the Floors series (the first 2 books are also highly recommended) about life in a hotel, Eloise-style…except this hotel is filled with puzzles, mysteries, and, yes, inventions. The Unwanteds Series by Lisa McMann. This series came recommended to Jack by a classmate. He blazed through all 4 of these books in less than a week and has confirmed that–in addition to Because of Mr. Terupt–these were the best books he read all summer. Gordon Korman’s whole entire oeuvre, basically. The Hypnotists and Memory Maze are a series featuring a young boy from a family of master hypnotists who, of course, must learn to control his hypnotic powers and use them for good. Schooled is a fish-out-of-water tale about a homeschooler who has to start attending a traditional school. The rest all feature a mystery and an animal. 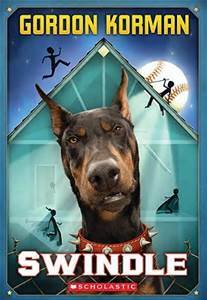 Jack thinks Gordon Korman is terrific, and he’s read every one of his books except No More Dead Dogs, opting to judge that book by the cover (and displaying a respect for superstition). The Merits of Mischief series by T.R. Burns. A very readable series about Kilter Academy, a school for troublemakers–as in, the school teaches its students how to become troublemakers. Fear not; it’s all pretty innocuous fun. The Theodore Boone series by John Grisham. Jack’s interest in Grisham was piqued when we drove by his house on Amelia Island. And then Jack’s mom is an attorney, and he has a brother named Theodore. Jackpot. Jack found these to be page-turners (they are Grishams, you know), and he loved trying to figure out the cases. So there you have it: a summer reading round-up fit for a king (or queen)…of the middle school playground, at least. Have at it, and let us know what great books you’ve uncovered, too! Quiet Down There has definitely been a little…well, quiet down here lately. Now that the hubbub that is May has passed, we promise to get back to business reviewing books. 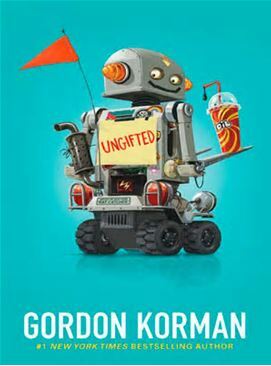 Last week while we were at the beach, I picked up another book for Jack by Ungifted author, Gordon Korman. Jack devoured Swindle in less than one day, so I’m guessing he liked it. I had Jack write this entry by answering the italicized questions. Mom has added minimal commentary, in brackets. Enjoy! Give us a quick summary of the book. The problem trying to be solved is the money problem of Griffin’s family. [It’s always a money problem, isn’t it?] The solution was to steal back the rare Babe Ruth baseball card. Will Griffin be able to steal the card back and fix his family’s money problems forever? Read the book to find out! Who was your favorite character? Why? How old are the characters? Are they all human? What was the funniest thing that happened? Why did you like this book so much, and why would you recommend it to your friends? I like this book because it was sneaky, sporty, and brainy. I’d recommend it to a lot of my friends because they like adventure books and sport books, and I think this book is a good mix between the two. He’s a man of few words, folks, but there you have it. Jack really loved this book. The next few books in the series arrived today, and the 10-year-old is already curled up on the sofa with one. The Swindle series is going to be a fast read (the books are all roughly 250 pages each), and a Jack-only read (I’m taking a pass on the series), but it’s summertime and any reading is good reading. Jack gives it four-paws up. Stories about schools are always fascinating. Be it Hogwarts School of Witchcraft and Wizardry or the Welton Academy of The Dead Poet’s Society, there’s something intriguing (and voyeuristic) about encountering a school from some place other than one of its desks. Although he’s just a 4th grader, Jack already tends to agree. So when we found a story about the fictional Academy of Scholastic Distinction, a school for the extremely gifted and talented, we were sold. Little did I know that the schooling in this book would be mostly figurative. While the premise sounded interesting to me, I just couldn’t get into it. The main character, Donovan, takes the role of the Puckish prankster to new levels when he–in effect–vandalizes his school, Hardcastle Middle, and then runs. Yes, I know kids will be kids, but Donovan’s shenanigans at the onset are obnoxious and not what Jack or I would find funny or entertaining. Jack’s glowing support of Ungifted boggled me. That is, until I got to the meat of the book. Before I knew it, Ungifted took a sharp left turn into the unchartered waters of true adolescence: puberty. Jack treated his copy of Ungifted as if it were a modern day version of Judy Blume’s Forever. Don’t worry; ‘tweeners won’t be dog-earing pages and passing it around covertly. It’s not that juicy. In fact, it’s not really juicy at all, but I really wasn’t ready for the entire Human-Growth-and-Reproduction-Complete-with-Real-Live-Pregnant-Sister plot line which took up half the book. I’m guessing neither was Jack, based on the speed with which he gobbled up this book. Ungifted flips around among narrators, each with a strong, confident, unique voice. Korman does a nice job of fleshing out his characters and portraying pre-teen angst, uncertainty, and confusion with a prickly, uncomfortable perfection. Grown-ups will shake their heads at some of the choices made by Donovan and the others, but this will most likely be because they remember making such mistakes themselves. Nerdy English teacher note: the neatest elements of Ungifted are the multiple allusions to the great film, The Wizard of Oz. Jack and I had a wonderful time discussing (and uncovering) all of these connections. Ungifted‘s characters search for courage, a heart, and a home (even though they seem to have that brain thing down pat). Like that other 7-lettered, D-named protagonist, Donovan certainly endures his share of an uprooting. There’s even a Tin Man and a (somewhat) beloved dog. 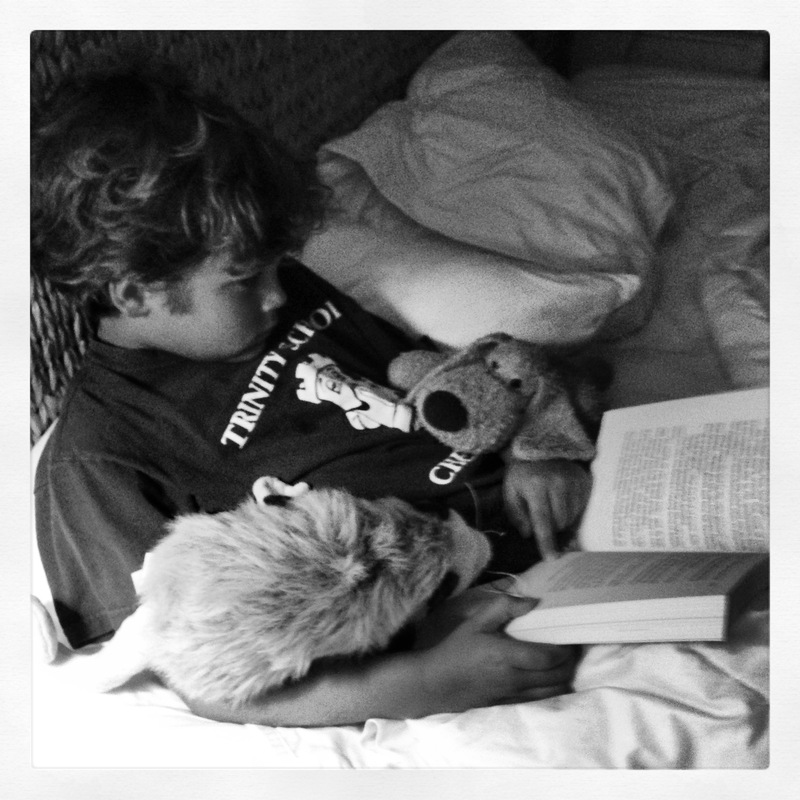 If our end goal is to get our kids reading more, then Ungifted is a G-rated success. I’m willing to write off that giggle-inducing (yet basic and innocent) “where-babies-come-from” plotline because I have to accept that our days here in Kansas are numbered, whether I like it or not. To see and hear a young reader’s reaction when he or she figures out Beatrice’s plight? That’s the sweet stuff that growing up is made of, and I was happy to be along for this ride. As for what’s behind that curtain? Or over that rainbow? Hand this book to your young person and then ask that question. You might be just as surprised at the answer as Dorothy was. Hey grown-ups: remember this thing? Did your playground have some version of it tucked into a corner? I’m willing to bet it did; this faded, semi-rusted honeycomb of a potential law suit holds a special place in the memories of us 40-somethings. 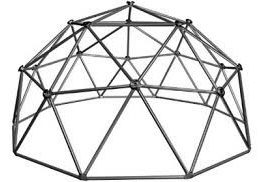 Many schoolyard problems were solved atop this wobbly contraption, and pow-wows often took place with one of your best friends hanging upside down. And if a kid fell off the climber or scraped his leg on a protruding screw back in 1980, that was his problem, not someone else’s. Kids encountered adversity and then rolled with it. Lots of things have changed since the Jurassic era when I was growing up, yet Natalie Hyde’s sweet little tale of teamwork took me back to the days of the untethered resourcefulness of my youth, when my friends and I thought we could fix anything life tossed our way. 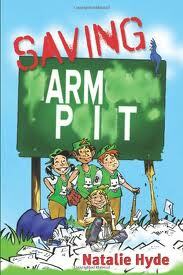 Saving Arm Pit (yes, that’s really the title) is a fantastic little surprise of a book; at only 133 pages, it manages to pack in some marvelous examples of childhood ingenuity at its best. Jack and I stumbled across this book solely because it popped up as an Amazon recommendation. When our other suggested purchase was Jack’s all-time favorite, Wendy Mass’s The Candymakers, Jack knew we had to give it a shot. I, on the other hand, was doubtful; the cartoonish cover looked juvenile, and the blurb described a stereotypical rags-to-riches plot involving a baseball team. Who knew then that taking a long shot was going to be so fortuitous? Yes, there’s a baseball team, and yes, they’re a bit juvenile (at first), but that’s ok because, hey: Quiet Down There is a book club for kids. I slogged through the first chapter while Jack knocked out half of the entire book the first night. His excitement the next morning was magical. So that next night I decided to go all Atticus Finch on Saving Arm Pit. I put on Jack’s shoes and turned the page…and didn’t stop until a few hours later. You know what? Jack was right. This book is fantastic. The Harmony Point Terriers aren’t just baseball players; they are go-getters. They take something as inevitable as growing-up and hitch their wagons to it, determined to enjoy the ride. This refreshing novel exudes springtime and youth and conviction and camaraderie. It is refreshing to stumble across a tale so deeply rooted in the effervescence of childhood. I promise you that the references to invented playground games, summers free from electronic gadgets, and, um, Barry Manilow will have you knee-deep in stories about the good old days with a child who is–let us subtly remind you–in the process of creating his very own good old days. Like their Terrier mascot, the Harmony Point kids have boundless energy and take the hunt seriously. While Clay and Sophie might not change the whole world, they do change their little corner of the world, and that–to paraphrase Robert Frost–makes all the difference…much like spending time with a young reader talking about a book. Slowly but surely, the little things add up. And that cartoonish cover I mentioned? Brilliantly loaded with information. Take a good look at it once you’ve finished the book. Way back in the dark ages–way before the advent of the iPhone, the iPad, or the iAnything–Scrabble was a popular pastime. Yes, we’re talking about the board game with its smooth little wooden rectangles of letters, pulled randomly from an opaque maroon velvet bag and used to spell out words crossword-style. Kids today know this as Words With Friends, and we’ll admit it: it’s still addictive. But the WWF app greatly simplifies the game of Scrabble. Gone is the requirement of having a bodacious vocabulary; the app itself will politely notify you if a word you’re trying to play is valid or not, and there’s no penalty for trying to play a completely frabjous word like jabberwocky. True Scrabble aficionados will tell you that Words With Friends is not Scrabble. But we digress. 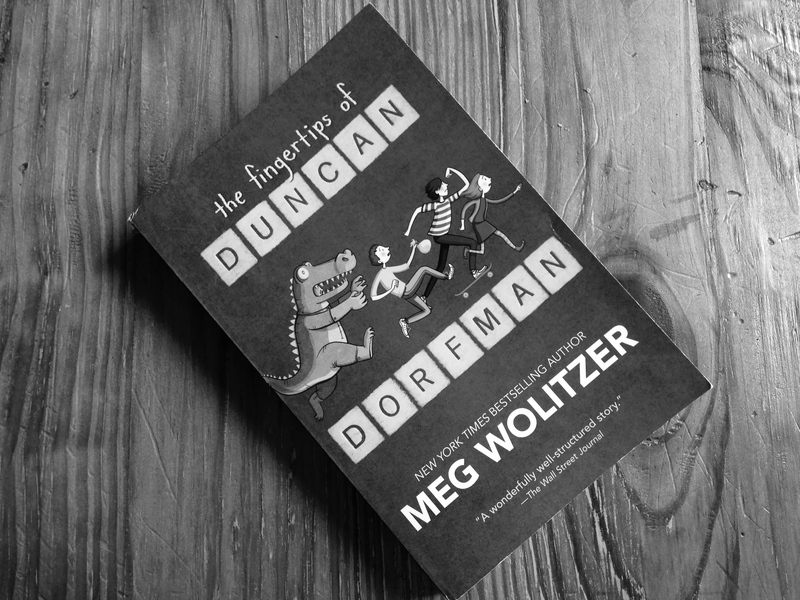 Meg Wolitzer’s novel, The Fingertips of Duncan Dorfman, requires its reader to contemplate the game in its original form–using a combination of the luck of the draw and the calculated ability to manipulate letters, all without the outside help of a dictionary or an online monitor. An expansive vocabulary is a must, obviously, as is a working knowledge of the tricks of the trade–the “qats” and “hmms” and other acceptable oddities that help one rack up points. Scrabble is a brainy game for brainy people. But what if one of those variables is taken off the table? What if you could plunge your hand into that velvet bag and read the tiles before you drew them? If you’ve mastered the other aspects of the game, then this seemingly impossible talent takes it to a new level. You can’t lose. And in the world of competitive Scrabble, this, of course, is the whole goal. Seventh grader Duncan Dorfman has this power (or is it a weakness?). When the Drilling Falls Middle School Scrabble Club’s kingpin Carl discovers it, he knows he’s found his partner for the upcoming national Youth Scrabble Tournament. They will be a force to reckon with, on a one-way street to victory, even if Duncan is pretty terrible at anagrams and still hasn’t memorized the list of acceptable 2-letter words. Across the country, teammates April and her best pal Lucy have their own unique plan to achieve victory in the Youth Scrabble Tournament. And there’s also Nate, a homeschooled loner forced to follow in some very, very big footsteps–footsteps made even trickier when he chooses the free-spirited grunge-girl Maxie as his partner for the tournament. 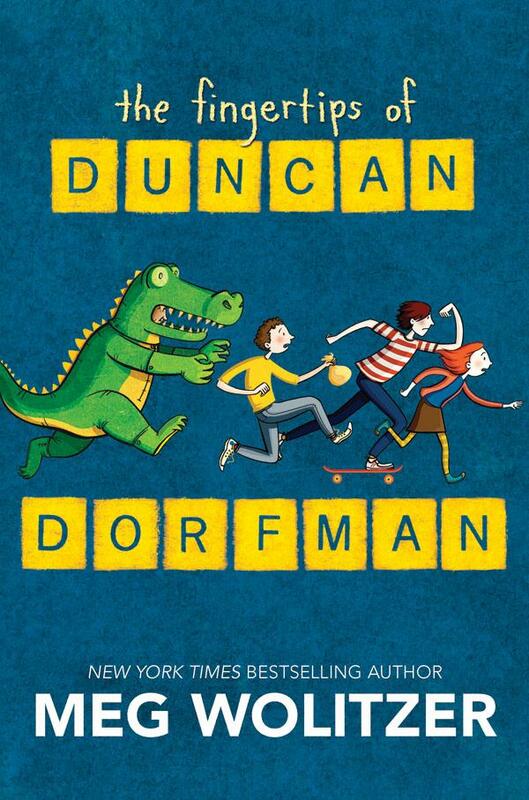 There’s a lot more going on here than just the fantastical element of Duncan’s fingertips. Obvious conversation starters include questions of knowledge v. luck, teamwork v. individuality, rich v. poor, and reality v. illusion. Moral and ethical decisions are made by each character, and each character also tangles with some ugly yet contemporary pre-teen stereotypes; all of these concepts give rise to teachable moments through discussion–a discussion Jack really enjoyed. Talking about thorny, mature situations and how they actually exist in the life of a 4th-grader made Jack realize our book club project was legit. In the end, young readers will learn that everyone makes mistakes, and close readers will even catch the author making one herself [here’s your hint: 210 and 237.] Somewhere between vowel dumps and a scaly alligator mascot, between the mystery of SETTLE MARS and Ms. Thorp, between the stories of overachievers and underdogs, Wolitzer lays down a bingo-bango-bongo of a story. Jack and Mom couldn’t have picked a better inaugural book for Quiet Down There. Welcome to Quiet Down There, the blog for young(ish) readers! Jack is a 4th grader; his mom, Laura, is a little bit older. Laura adores her book club (and she claims they actually do discuss the book; it’s not all about the wine). Jack plows through a few books a week and would love to talk about them with someone. One night, these two bibliophiles hatched an idea. Laura spent 4 years teaching high school English, so she can talk the paint off the walls when it comes to literature. Quiet Down There discusses the themes, allusions, analogies, controversies, plot lines, elements, and juicy vocabulary featured in each book, while keeping it totally pain free and kid-friendly. 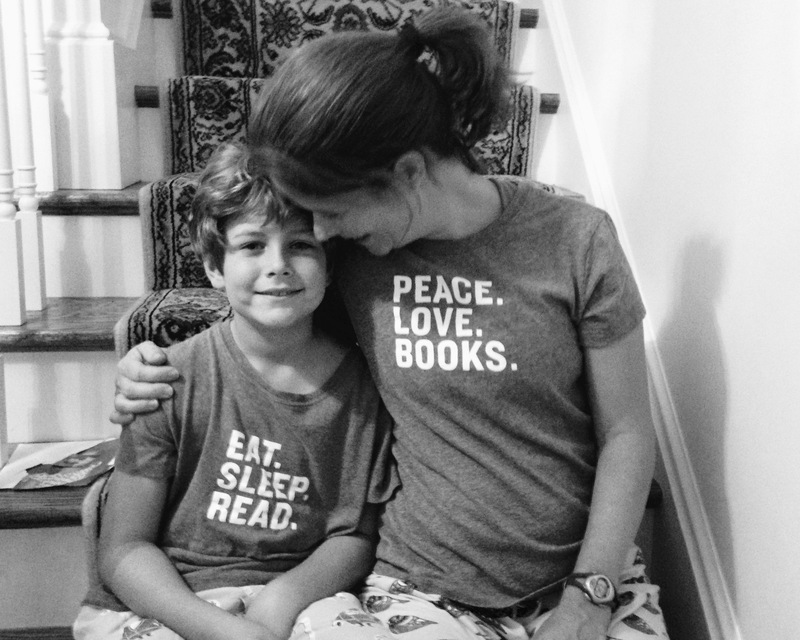 We will give you our honest opinions–from both boy and mom–on each book. 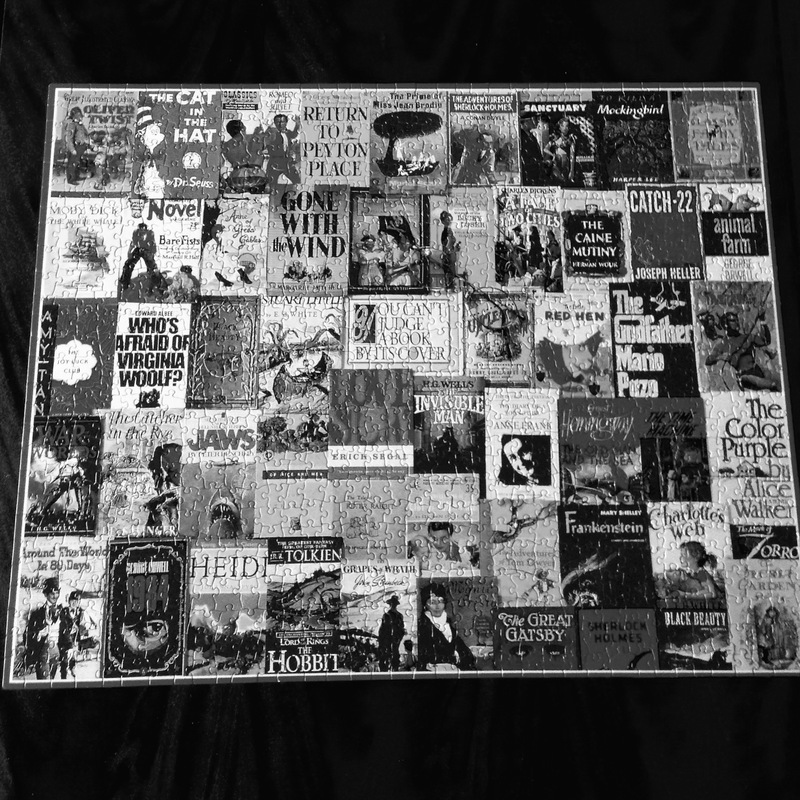 In the end, we hope to lead kids (and grown-ups) to some great books and get them reading more. Welcome to our book club! Now get yourself nice and comfy; you’re not going to be able to put this one down.